There are no Radeon RX Lightning series, but at least we have MECH 2. A new series of graphics cards? After GPP failure, board partners are rushing to showcase their prototype designs, which were hidden from Jensen for weeks. 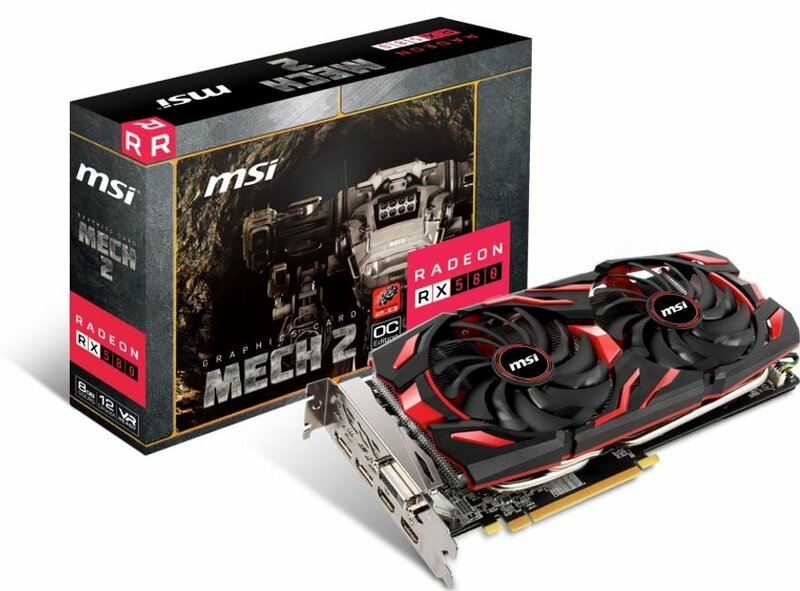 So far there is no trace of Mech 2 series on MSI website, so we can’t be sure if they are Radeon RX exclusive. The series utilizes new black and red cooler design, looking slightly more advanced than Armor (MSI’s budget series). That said, a good guess would be to expect Mech 2 series to fit in-between Gaming and Armor. The Mech 2 Radeon RX 580 pictured below has five display connectors, including DVI and two pairs of HDMI and Displayport. There is no word on pricing or detailed specs yet. According to TweakTown, Mech 2 series will be shown at Computex next month, with availability planned for July.